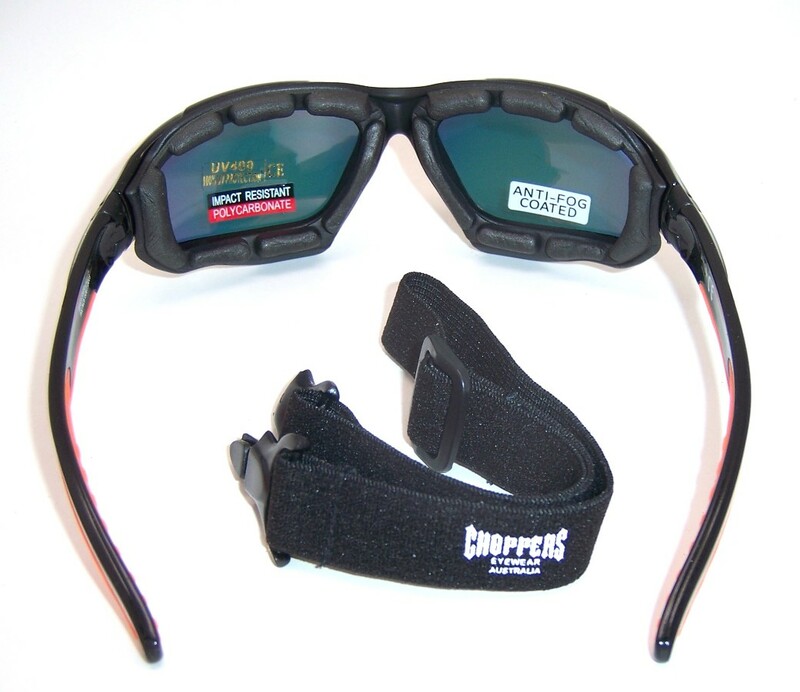 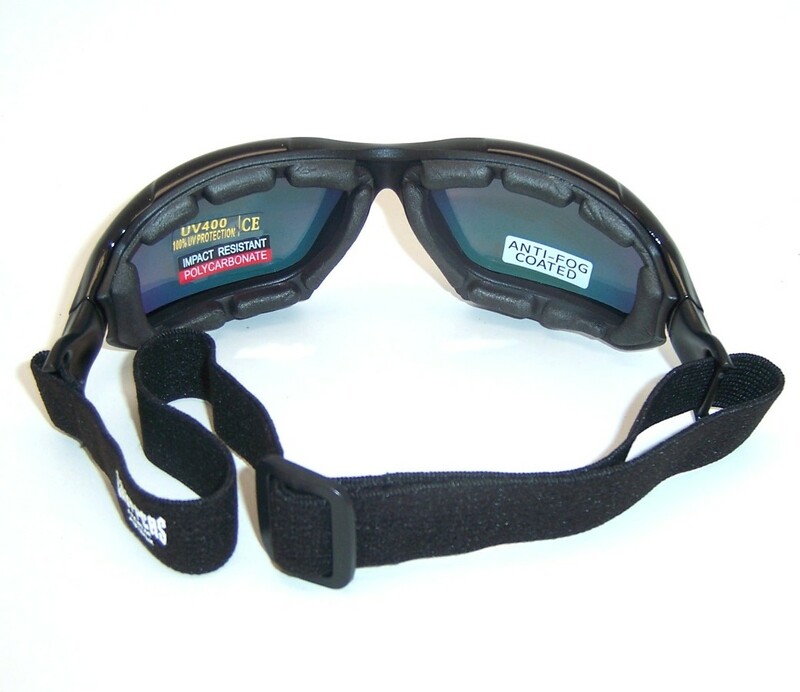 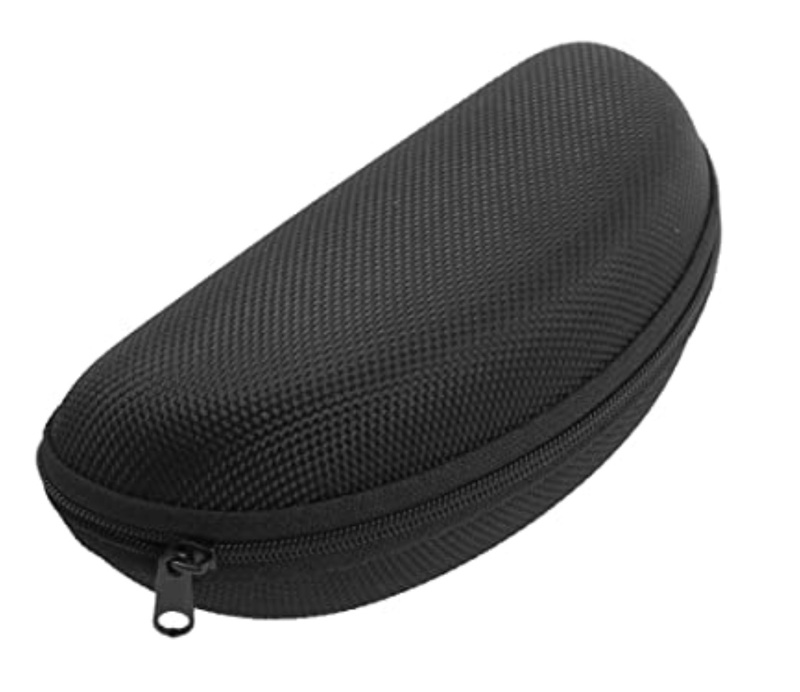 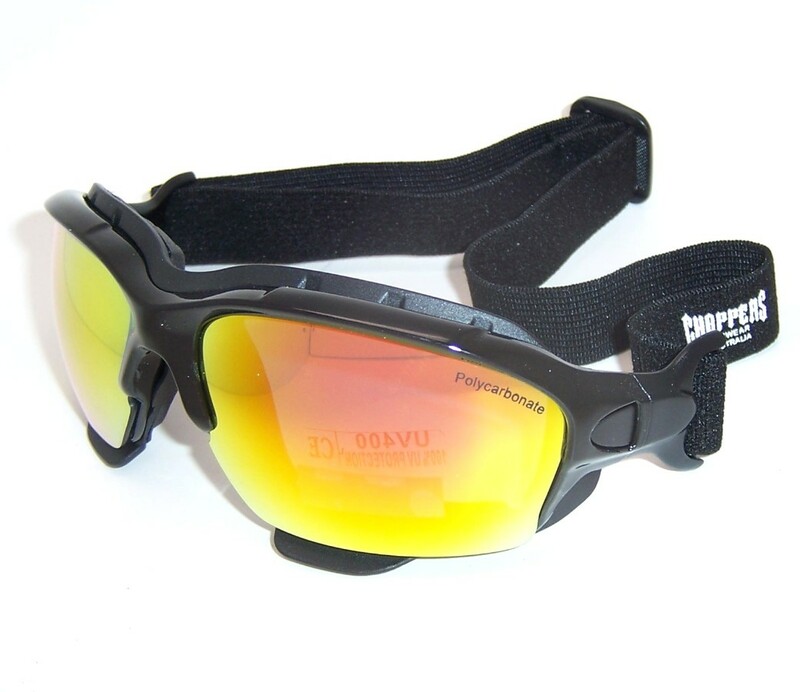 8963-SMR Choppers Goggles Sunglasses (Anti-Fog Coated) is interchangeable with removable strap and arm. 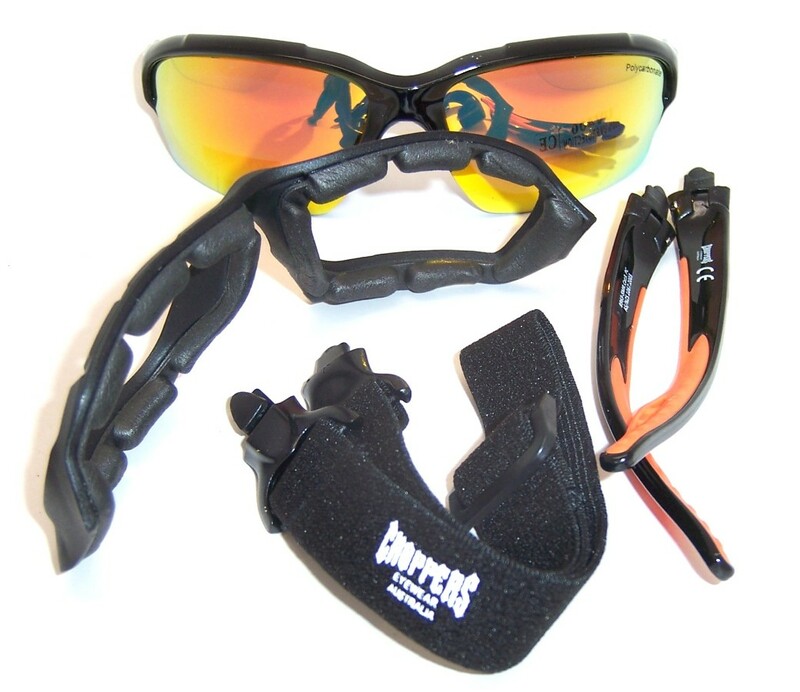 8963-SMR Choppers Goggle Sunglasses Black Frame Goggles Revo Gold tinted lens are great for Snowboarding, Motorcycle, Watercraft, Skiing/Snowboarding, Action Sports, ATV. 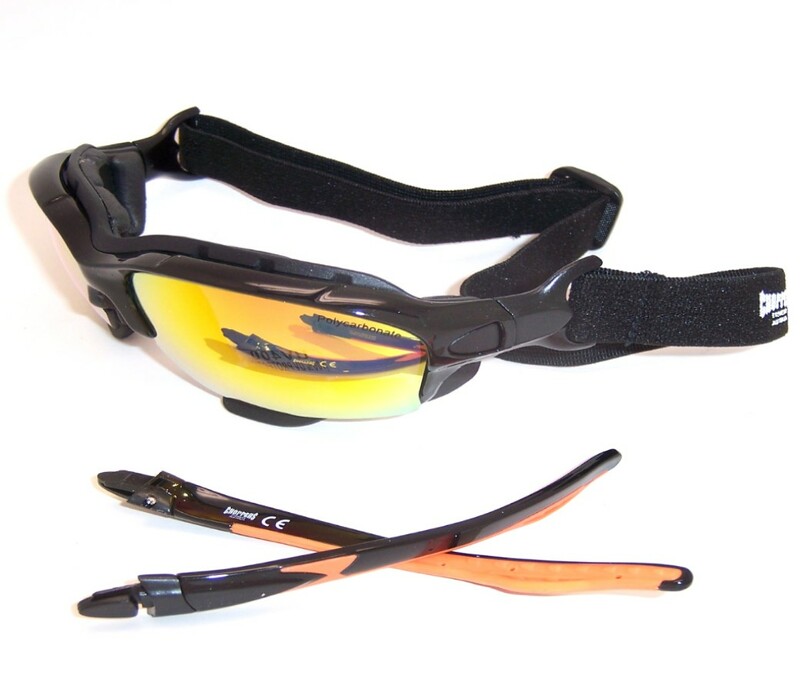 8963-SMR Choppers Goggles Sunglasses (Anti-Fog Coated) Goggles Glasses are suitable for larger faces. 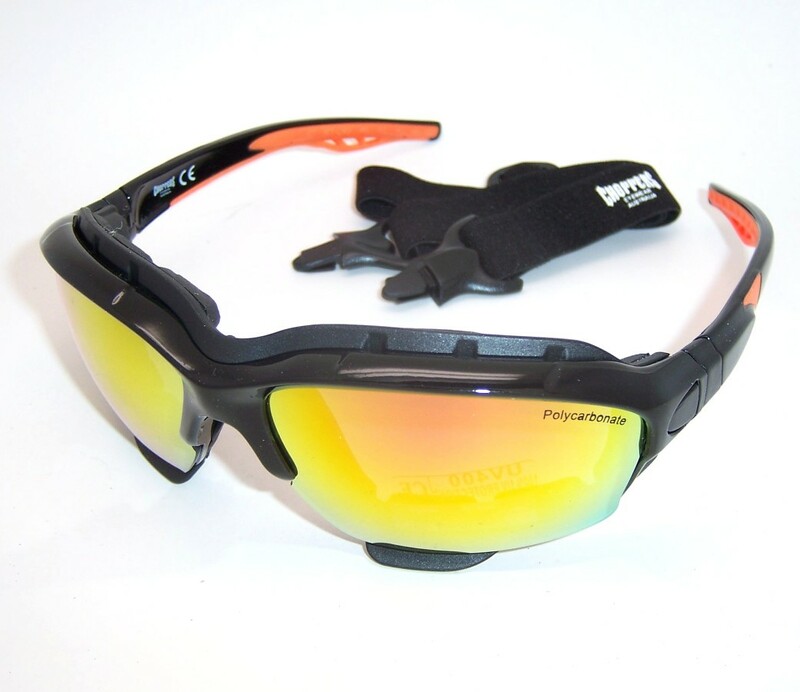 They won't get lost in the water because they float!